This summer season, some of the best movies I got to catch on the big screen (and a somewhat smaller one) were actually cartoons. Yes, they were that good which was why I think they deserve a mention here after finishing my trip write up to Europe. I’ll write the latest one I managed to catch first which was Despicable Me. This movie had many more punchlines like these that just brings a laugh to the audience, like for example calling the Bank of Evil which Gru went to get a loan, as formerly known as Lehman Brothers. The funny scenes involving his minions who looks like yellow medicine caplets also seems like a perfect remedy to cheer one up throughout the movie. 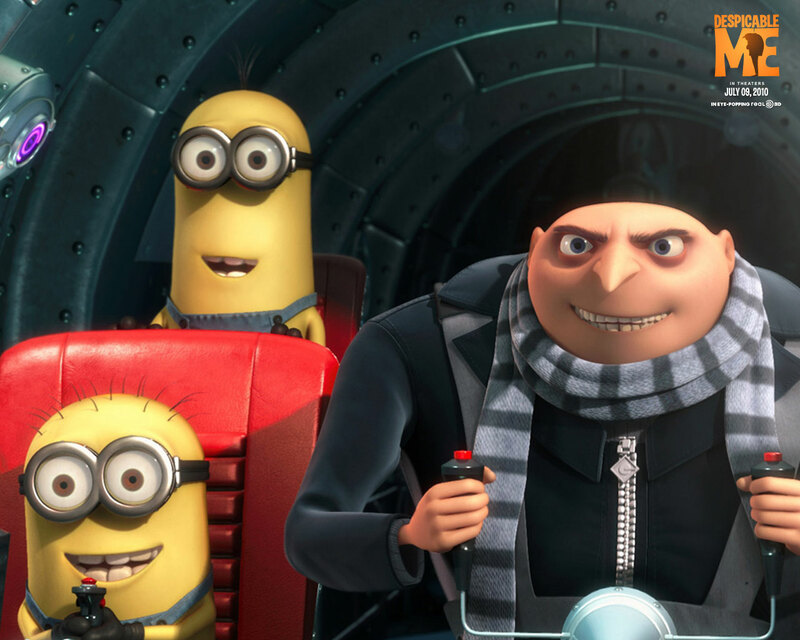 Besides the hilarious scenes, the movie had heartwarming moments when Gru decides to make use of 3 orphans to steal the shrinking ray gun from a supervillain competitor, so that he can carry out his plan to siphon the moon. It wasn’t until the 3 cute little girls, especially little Agnes, changed him before he even realizes it. Their bonds have grown so much so that Gru was eventually willing to exchange his loot (the Moon) for the release of the 3 girls from the competing supervillain. While the storyline is as cliche as it goes, the funny scenes and cleverly added jokes interspersed within the movie made it fun to watch. The heartwarming scenes like when Gru tells a bedtime story to the 3 girls makes it also worthwhile to catch this movie with your loved ones! The next cartoon which is perhaps my most anticipated movie this year was Toy Story 3. As a big fan of Toy Story 1 and 2, I definitely had to catch this show. With most sequels, I had my share of disappointment more often than not. However this movie was so good, it nearly made me shed tears! Following up on the adventures of Woody and Buzz Lightyear in Andy’s home, the toys have now been banished to Andy’s chest as he prepares for college and spends more time on the computer. With his mother’s urging, he packs up his room and intends to bring Woody while leaving the rest of his toys in the attic, but as the story goes, Andy’s Mum mistakenly places the bag full of his toys in the garbage can. Woody, being the loyal and courageous sheriff to his other toy comrades, rescues them only to be inadvertently sent to a child daycare centre. Initial reception was found to be welcoming by the toys as they find a lot of fun in the daycare though Woody tries to persuade the toys to head back to Andy’s but the toys have all misunderstood thinking that Andy had wanted to discard them all along. Thus Woody escapes out alone from the daycare and found by a nice little girl called Bonnie. However, good things didn’t last for the toys as it turns out an old discarded bear called Lotso sort of rules the centre segregating the toys to be mistreated and those on his ‘side’ to be placed in rooms with more civilized children. Lotso and his henchmen sort of ‘reset’ Buzz Lightyear to his original factory settings, resulting in him being hostile towards the other toys. Woody, upon being rescued by Bonnie, finds out about Lotso and goes on another trip back to the daycare centre to plan a rescue operation… With the story incorporating values of loyalty, friendship, mutual respect, care for the needy, and bravery, it sends audiences on a roller coaster ride adventure. The addition of classic toy scenes like Barbie and Ken, the stacks of instruction manuals for toys held by Lotso’s henchmen, Buzz having a ‘spanish’ moment were all memorable scenes that one can relate to during their childhood! The most evocative moment of the show would definitely be Andy finally donating his toys to Bonnie and anyone who have followed the toy’s adventure thus far would certainly be preparing their tissues here. 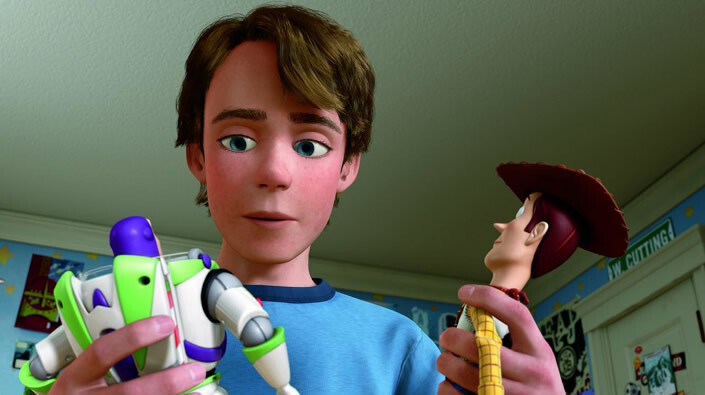 With Toy Story 3, not only have Pixar masterly closed the curtain on this series, but it has also outdone its other movies in providing viewers a great adventure throughout the movie. Finally comes the cartoon which I got to watch inflight on my way from London to Singapore. I might have watched it on a small screen, but it was on the biggest airline jet, the A380. With new clear screens, I totally enjoyed this movie as well for its fresh takes on the ending and showing viewers to reach out for understanding between races. The story takes place under the backdrop of a mythical Viking village which has periodically been besieged by dragons and it is an honor for men in the village to kill dragons. The movie’s protagonist, named Hiccup, as the village chief’s son, however is a scrawny little boy who is hopeless with killing one dragon. Thus he sets out a target of his first kill during a dragon raid one night. With tales from the villages of how dragons are cold-blooded creatures who ‘always goes for the kill’, as well as stories of the feared and elusive ‘Night Fury’ breed, Hiccup unexpectedly scores a hit against one such breed and finds the fallen dragon intending to deal it a fatal blow. 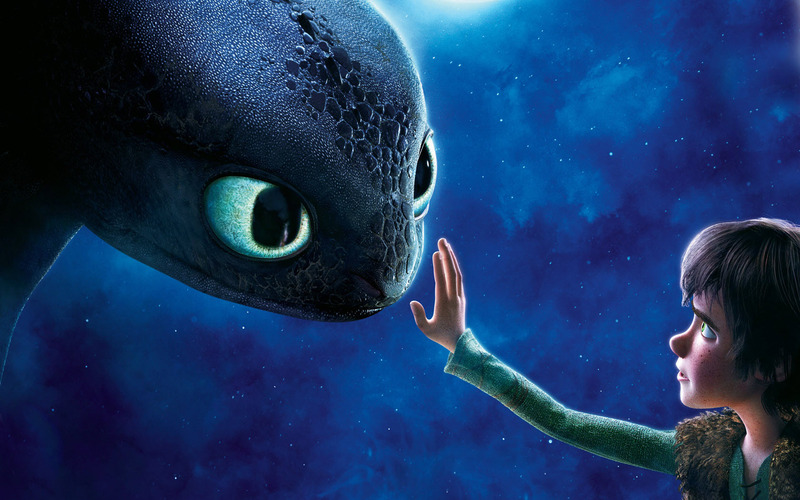 Instead of killing it, Hiccup spares its life, but with the Night Fury still injured, it has become incapable of flying. Naturally Hiccup who works as the blacksmith apprentice in the village builds a mechanical tail fin and rudder control allowing the dragon which he nicknamed ‘Toothless’ to take for the skies once again. His extensive socializing with the dragon allows him to gain valuable knowledge of dragons and thus an edge in the village tests for dragon combatants. With Hiccup faring well in the tests, his father views him in a different light and his classmates got jealous, especially his brave female classmate named Astrid. When Hiccup finally was given the opportunity to kill a dragon as his final test, he seeks out Toothless planning to escape from the village only to be followed and discovered by Astrid to how he has been hiding a dragon all this while. To stop her from spreading the word back at the village, Hiccup and Toothless scooped her up and took her for a ride, where they got into the flock of dragons which were returning from their raid on the village. The trio followed the herd back to their den where they discover the dragons conduct raids to bring back food for a much larger monster dragon whom they all fear. Upon returning to the village Astrid wants to divulge the dragon’s lair but Hiccup disagrees to protect Toothless. However during the graduation ceremony where Hiccup was to kill a dragon, the villagers learnt of his friendship with Toothless, resulting in its capture and the village tribe bringing it to lead the way to the dragon’s lair. While the tribe was on their way, Astrid, Hiccup and their classmates hatch a plan to utilize the dragons used in their combat training and head out for the dragon’s lair where a battle begins! The movie’s theme on a boy befriending a dragon reminds me of Eragon, another story which I really enjoyed! Their subsequent adventure shows that with mutual understanding and respect, peace and cooperation would ultimately be possible, and on that note, I found the whole movie very educational and enjoyable at the same time. These 3 animations shows that cartoons aren’t really for the young, and in fact they can serve to be family friendly entertainment on top of providing great lessons for the young and old! For those who have yet to enjoy these movies, do be sure to catch them with your loved ones!